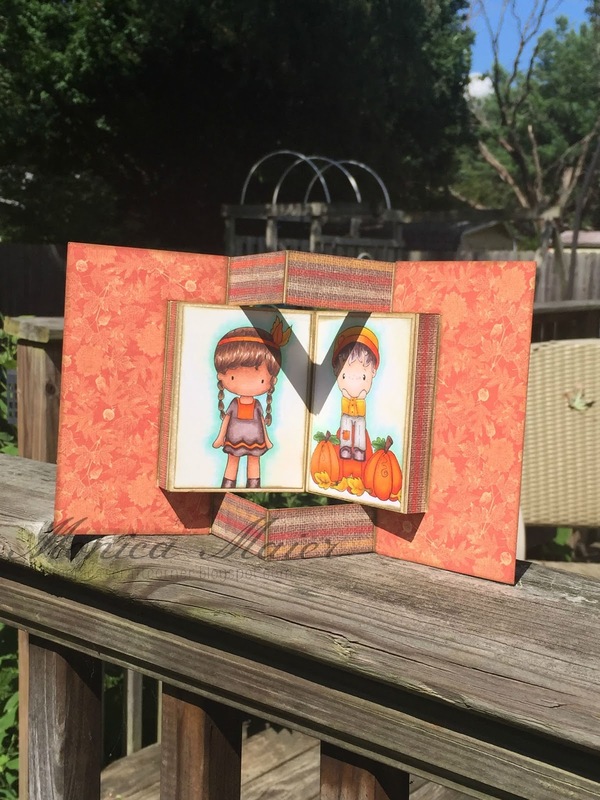 Here is my last August post for a2z scrapbooking. I wanted to work on having the look of texture and "layers" on my card. I started by stamping the background. I then crumpled the paper and distressed the edges. 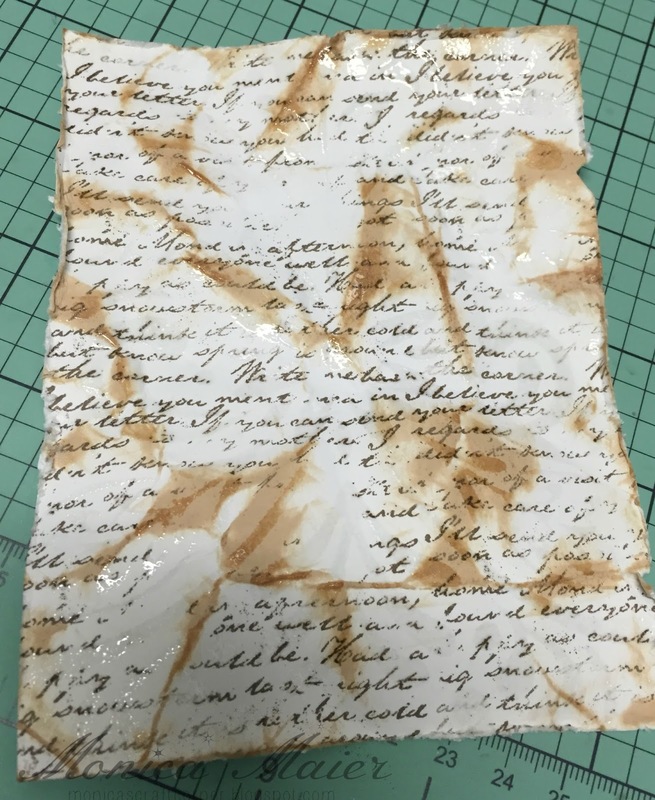 I ran a brown ink pad of the paper. 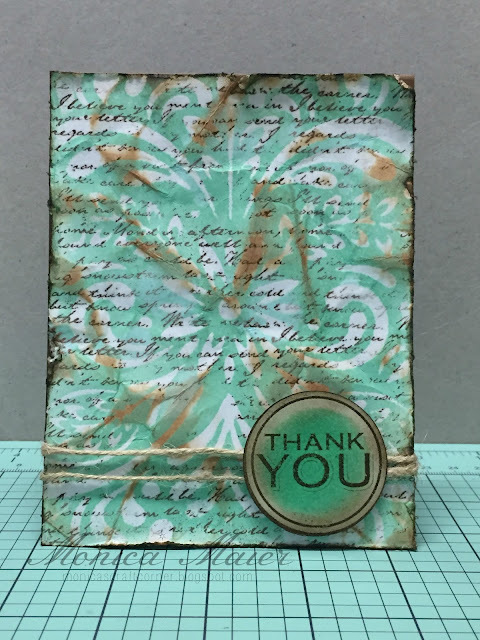 I put my stencil over the paper and dabbed my versa mark pad over the top, so the embossing powder would stick. 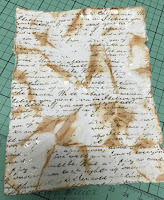 After heating the embossing powder I used another ink to ink up the paper so the embossed image would show. Inked the distressed edges with more brown ink and adhered the panel to the base. To finish off the card I wrapped some twine around and added the embossed sentiment circle. Below are some pictures I took to try and show the embossing and texture. 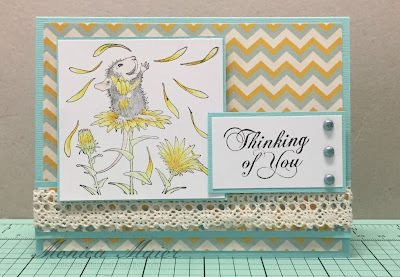 I'm here with another post for the DCD August challenge. Don't forget to come play along with us for a chance to win a gift card to the Le Crystelle store. 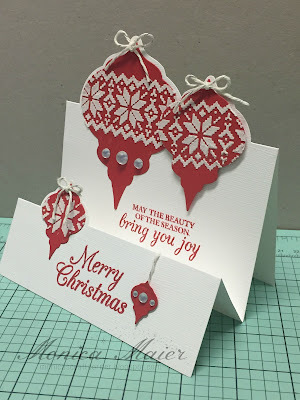 I used embossing paste and stencil over the ornament die cuts to add a little decoration to them, then added them to the card base. Stamped my sentiments in a coordinating red to keep the theme. To finish off the card I added some twine to all the ornaments and a few gems to some as well. My card is all die cuts. 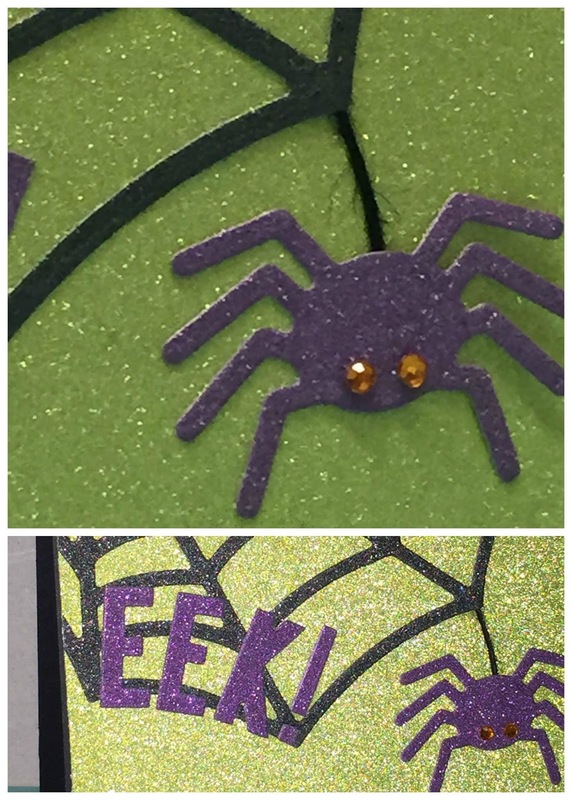 I die cut the spider web out of black and adhered it to the green panel then trimmed the edges. Used some of the trimmed edges to fill the other top corner. I attached a small peice of black twine for the spider then atteched him after he was die cut. I added the die cut letters and then adhered the panel to the cardbase. To finish it off I added to little orange rhinestones for the eyes. I also tried to get a better picture of all the sparkle from the glitter paper! 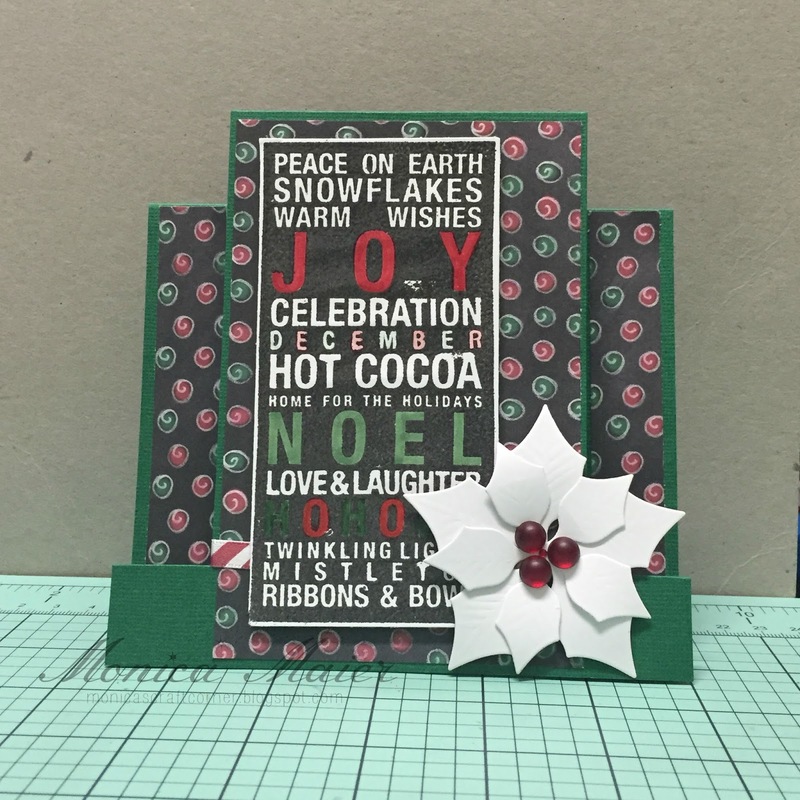 Here is another card for the Die Cut Diva's blog. Don't forget to join us in our Favorite Holiday challenge this month. Our sponsor is Le Crystelle Clothing and Crafts. My card today is more of a fall card, but would work great for a Thanksgiving card! I'm not looking forward to Thanksgiving in the fact that I will more likely be working after dinner, just to get up early to work on black Friday too! Oh the joys of retail!!! 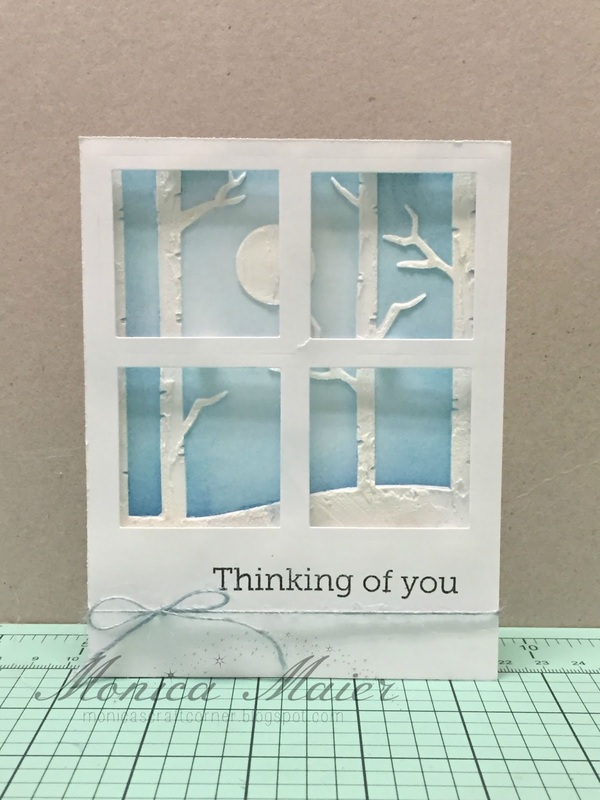 The card base is a precut card that I carefully measured to cut the pattern paper to fit. Some measurements weren't all that great and needed a little help! ;-) I distressed all the panels and sides, even the two center pieces with my images on it. I started my day off very crafty as I got 2 cards done and another started all before I left to pick my boys about an hour and half away. 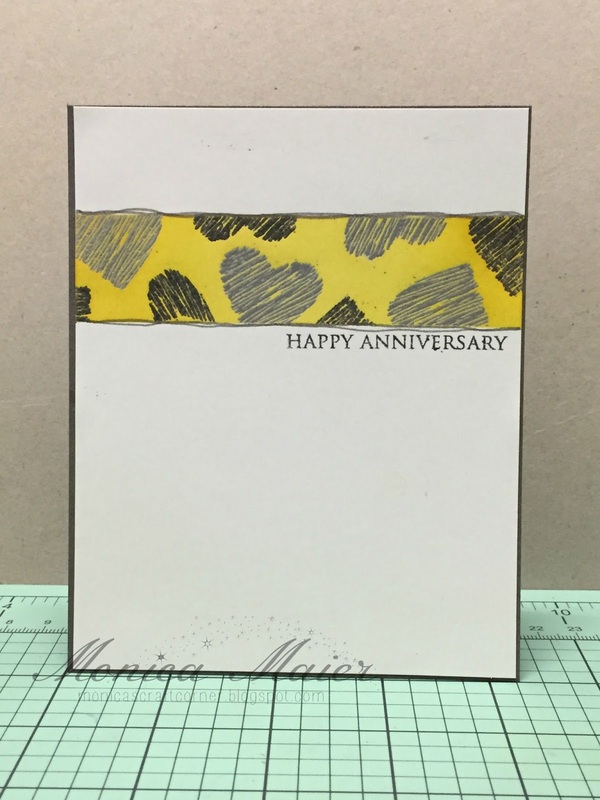 The card below was the first and was made for some friends for their anniversary. I made it with the CAS(E) this Sketch challenge in mind. I masked of the area to create my strip across the top. 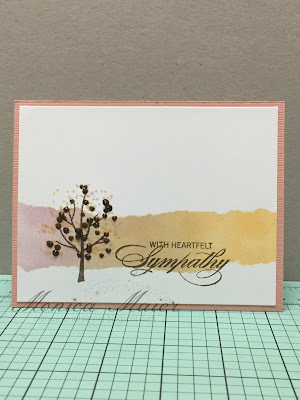 I stamped and embossed the images, then added color to the back ground with some distress inks. Adhered the panel to the card base, stamped my sentiment and added some hand drawn lines to make a border to the yellow strip. Hello everyone I'm coming by to share a card I made with the following image as my inspiration. 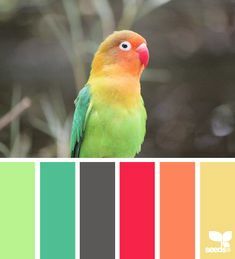 I just love the colors of that bird, I want to keep him as a pet! Can I keep him mom, can I??? ;-) This was a part of the challenge I play with a few friends to encourage us to use our stuff! We were to use a minimum of three colors. I started with a white panel, covered it with a stencil and the used distress inks to color it. I trimmed the panel and adhered it to a gray piece, which then was added to my card base. 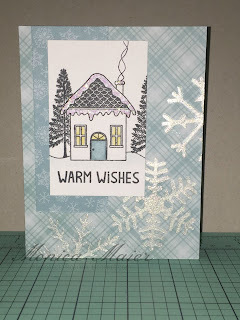 I die cut the sentiment using the same gray cardstock, adhered it to the panel and added some sequins to finish it off. Thanks for stopping by and a have a wonderful day! Love this one, I can see many possibilities with it! Anyone with me?!?! 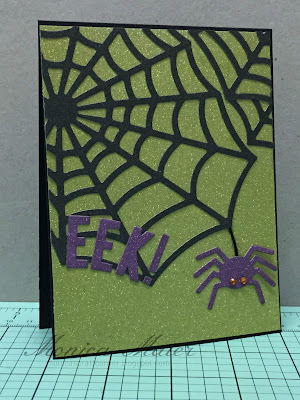 Now for the card I kept with the theme of this months challenge and used embossing paste. 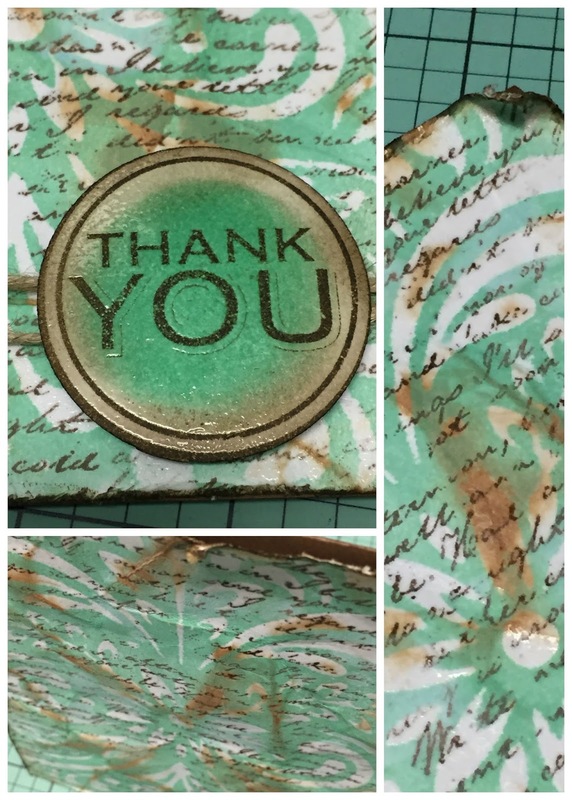 I used a Hero Arts stencil and some embossing paste, then set off to the side to dry. While it was drying I did a little selective die cutting to make a window out of the top panel and added the sentiment. Once the embossing paste was dry, I added color to the panel with some distress inks. Tied some twine around the panel and adhered it to the card base. 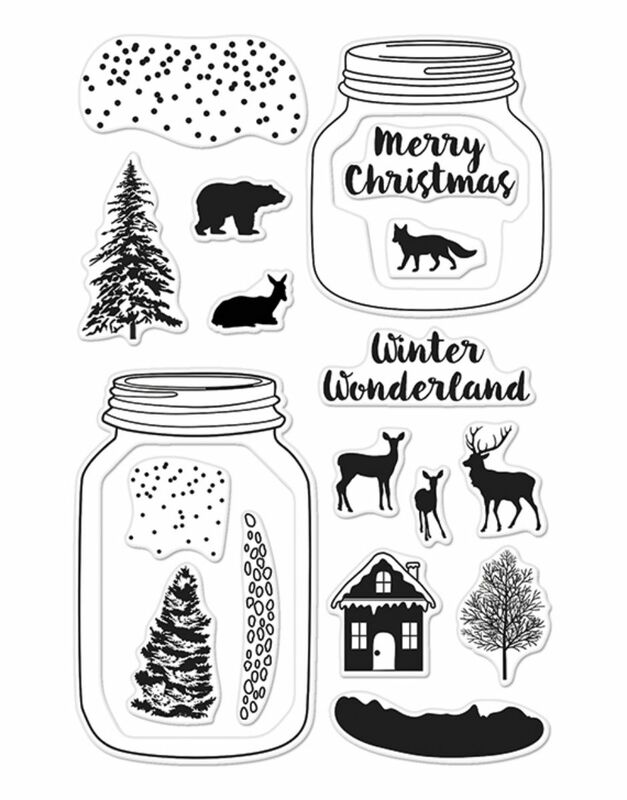 Hello all, I'm here with another post for the Die Cut Divas DT. 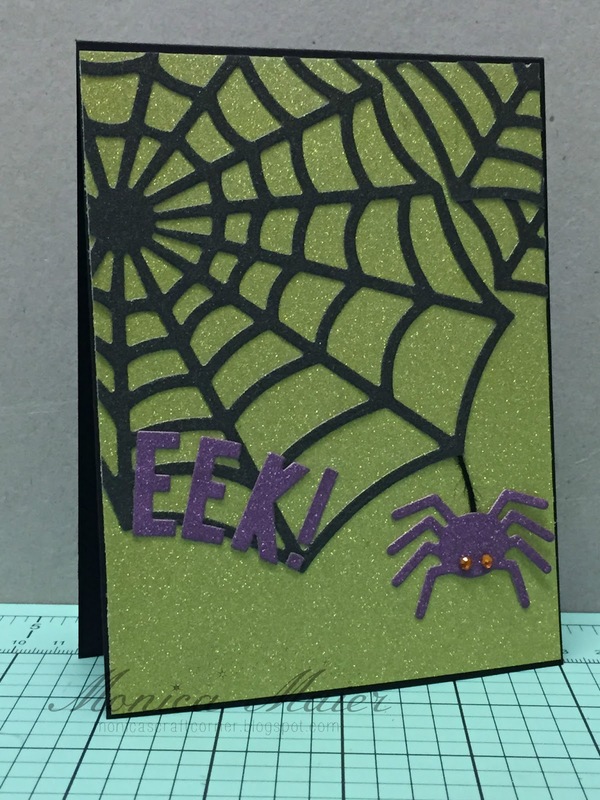 Sharing a Halloween card, yes Halloween! 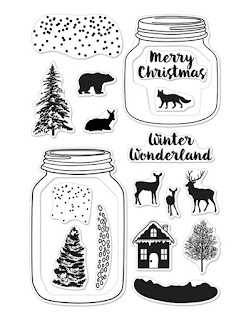 The challenge theme at the blog this month is favorite holiday. 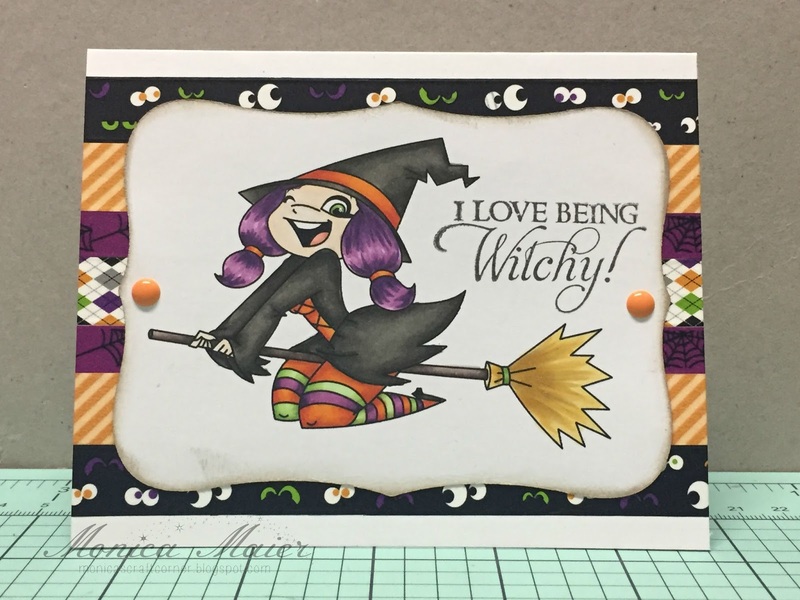 Not staying Halloween is a favorite holiday necessarily but it is a fun day and the cards for it are a favorite for me to make! My image is a digi image that I got from CC Designs about a year or two ago. I printed here on some cardstock and then die cut the panel. I colored her with my copics and stamped the sentiment. For my background I dug some washi tape from my stash that matched the colors I used for coloring. I distressed the edges of the panel then adhered it to the base and finally added two enamel dots. Second post of the day and this time I'm sharing a card I made for the HMFMC #200. The theme of the challenge was to blue, yellow and white. I will keep this super short since this is the second post of the day. Hope everyone has a great day!!! Hello all! 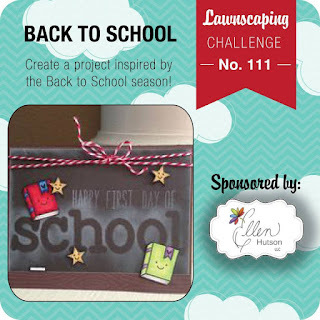 I'm stopping by with a quick post to share a project I made with the Lawnscaping challenge in mind. I will also link this up with the Simon Says Stamp Tie it up challenge. I die cut the bag three times. Once on the book pattern and twice on the denim paper. 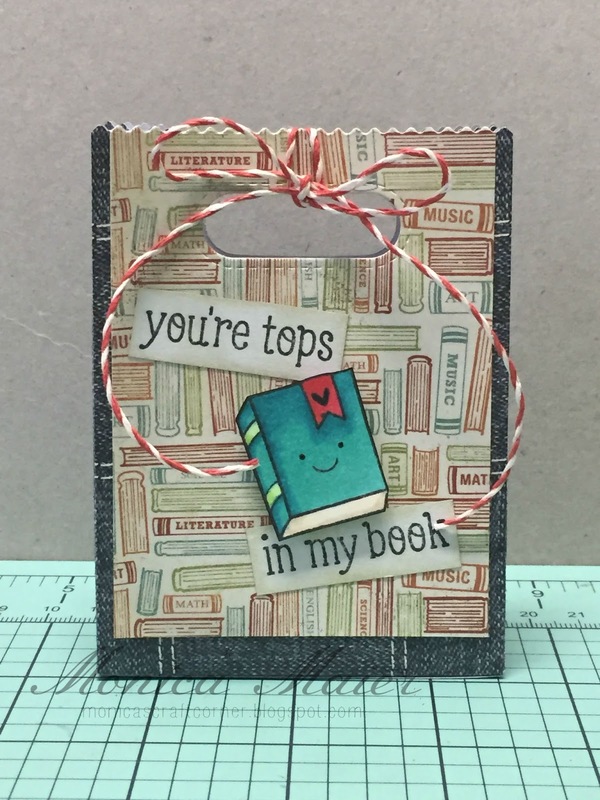 On a separate scratch piece of cardstock I stamped the book and sentiment. I colored the book with copics and the sentiments were cut and I distressed the edges. After adhering everything together and tied the top with some twine. Misc- Copics and pattern paper! I'm stopping in with a quick post that I made with 2 challenges in mind. and One Layer Simplicity Strip Down. For my card I tore a sheet of copy paper and taped it down to make a strip of distress inks. 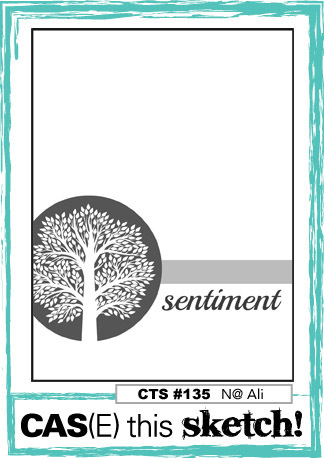 After I was finished inking I removed the mask so I could stamp the tree and sentiment. I added some colored cardstock to the base before adhering my stamped panel to it. To finish it off I added some distress stickles to parts of the tree. He was so excited that I had a rhino stamp in my stash he just had to use it for Mr.K! 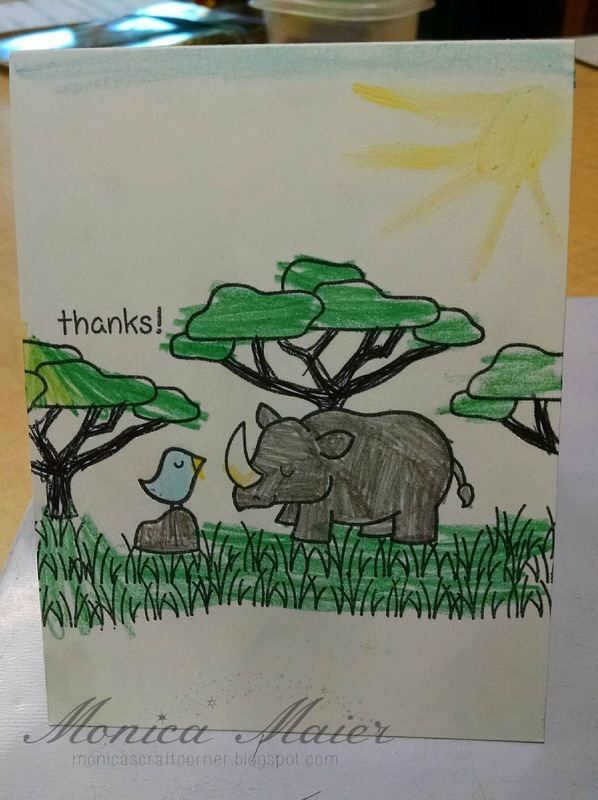 Little ones have such big hearts! 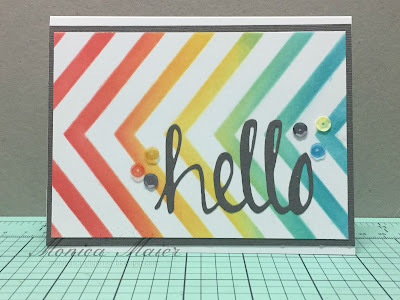 Just poppin' in with my card for the July CCC. For this month I chose to go for three of the options, I used flags, spray ink and the color combo. 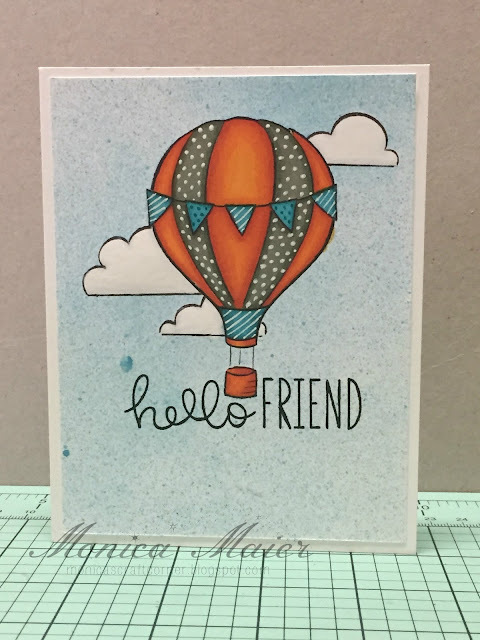 I started off by stamping and masking in the following order... banner, balloon and clouds. While the images were still masked I sprayed my background. After the spray was dry I started coloring my images adding strips and dots with pens for added designs. 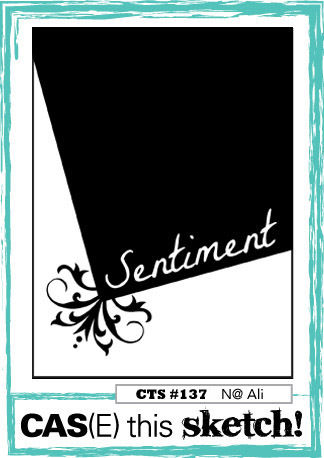 I then stamped my sentiment and added the panel to the card base. Second post for today and this time my card is for the a2z Srapbooking DT. It's the first of the month and time for a new challenge. 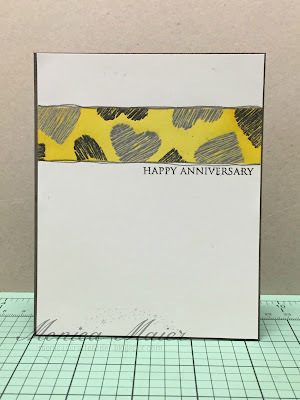 This month the theme is Embossing/ Texture paste. For my card I trimmed down some pattern paper to fit the front of a cardbase. 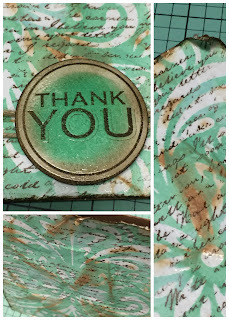 I decided where my image and scrap panel would go on the card, then I placed my stencil down and started applying embossing paste. 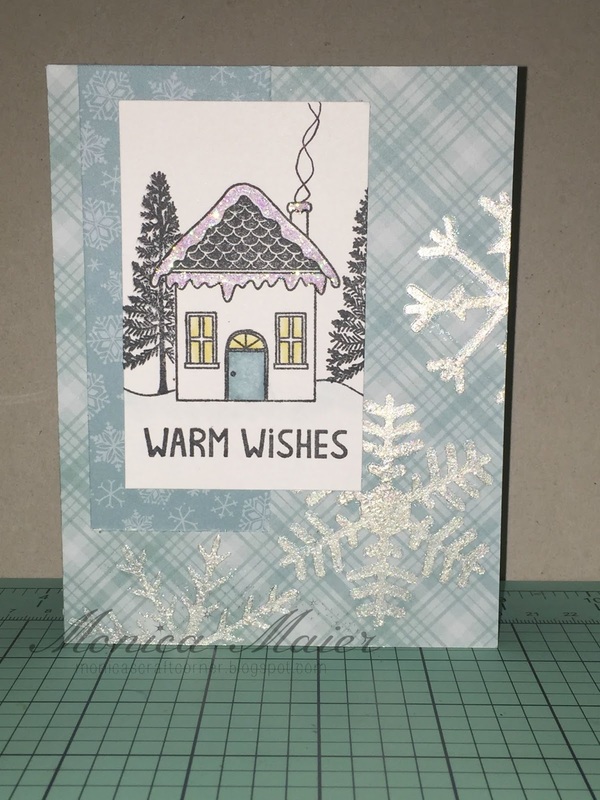 While the embossing paste was drying I added color to my scene keeping it mostly monochromatic... with just a bit of yellow (for warmth) in the windows. To finish it off I added a bit of stickles too. Once the embossing paste was dry I adhered everything together. 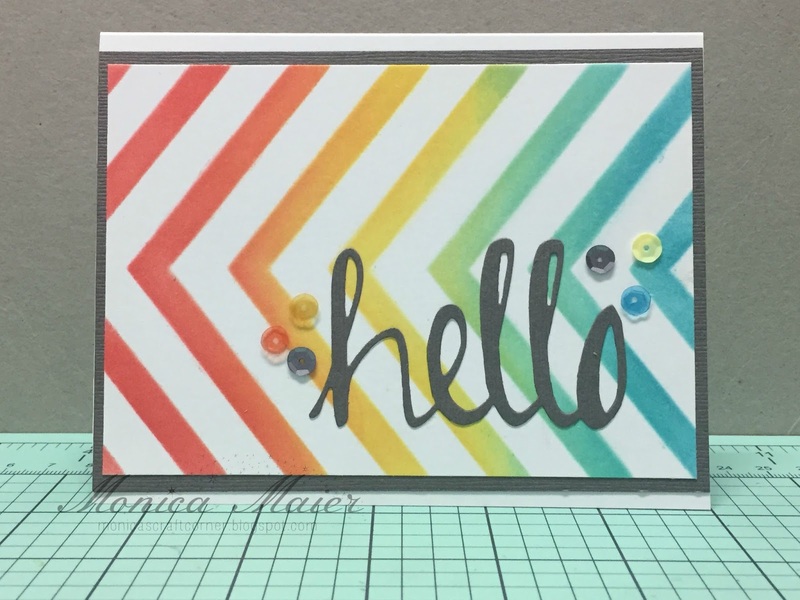 This card is to help kick start the August challenge over at Die Cut Divas. The theme this month is Favorite Holiday and the Sponsor is Le Crystelle. I chose Christmas as my favorite for the first card, it was an easy choice! Using the precut and embossed card I measured my pattern paper to fit. 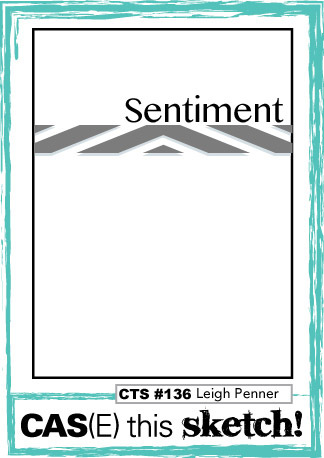 I stamped my poster greeting image on come cardstock and colored in a few words. 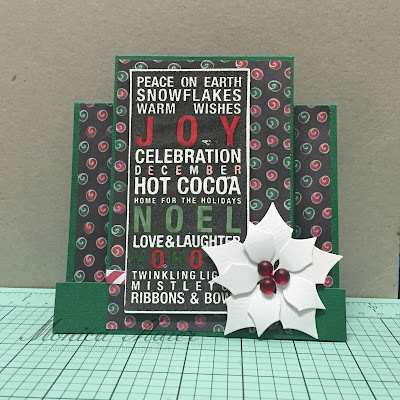 I then put two poinsettias on top of each other and adhered them to the card base, adding some red gems to the center. Don't forget to stop by the DCD blog to play along for a chance to win a $25 gift card to the Le Crystelle store! Good luck and I can't wait to see what you make too!